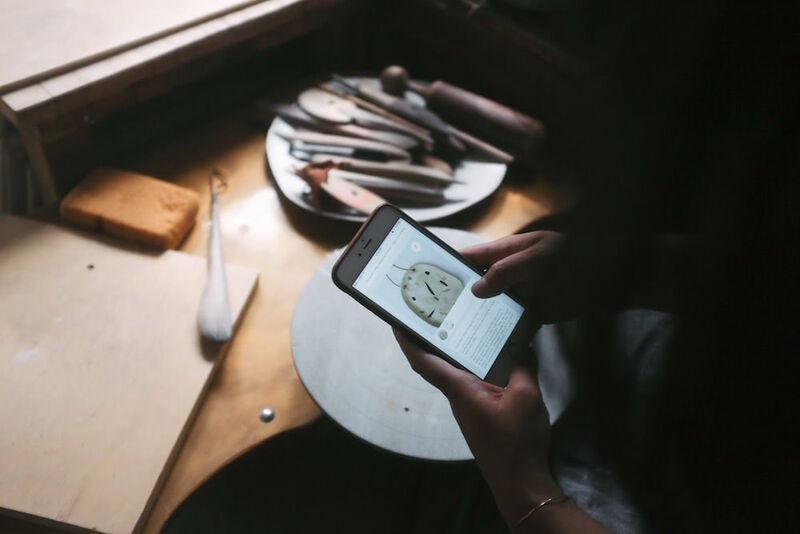 The couple behind Knotwork LA never wavered from crafting with care as they took their side project and built it into a business. 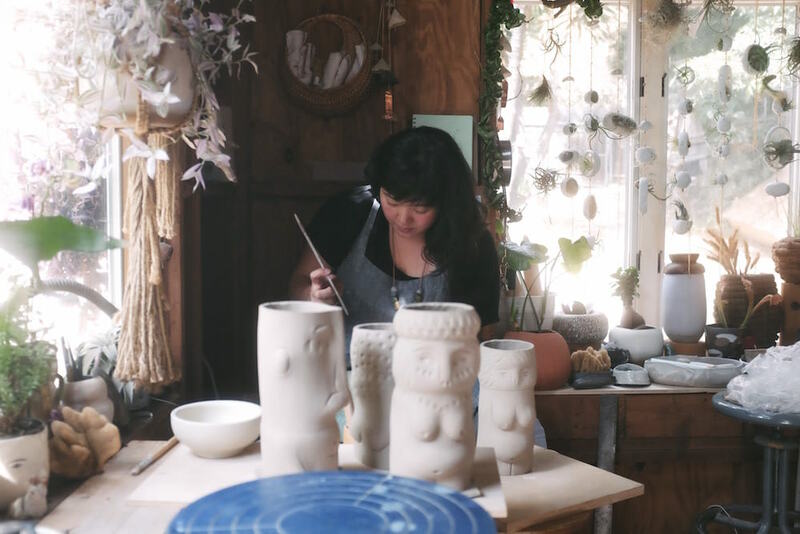 Knotwork LA is a collaboration between partners Linda Hsiao and Kagan Taylor, whose handmade goods are crafted in a studio that sits behind their East Los Angeles home. 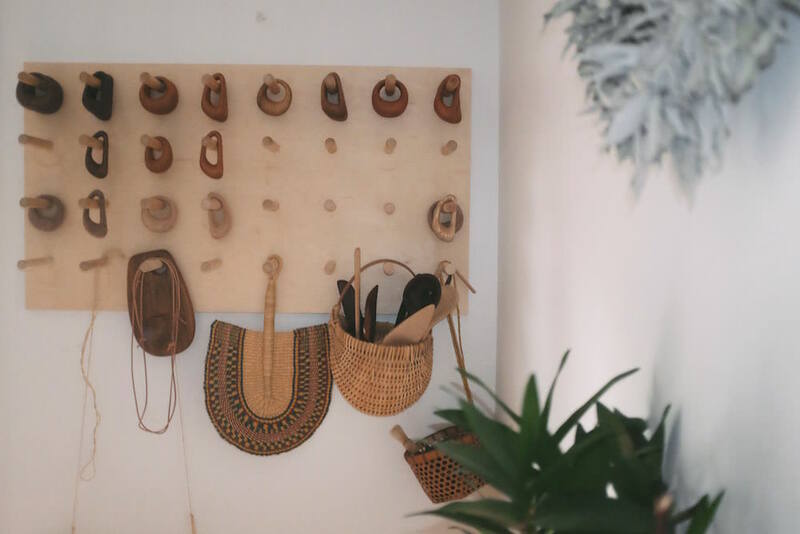 Linda was kind enough to invite me over to see her work and learn how they built a handmade business out of a side project. Where did your interest in art come from? I’ve always been making things since as long as I can remember. Growing up my parents were farmers in Southern California and I’d watch my mom grow things and that always felt like magic. Playing with mud, paints, and my own creations felt natural and is an extension of who I am. Knotwork started as a side project, but has become much more than that. Can you walk us through that transition? Knotwork started as a way of identifying the work I did “in my spare time.” That’s always included ceramics and gardening, and more recently my fiance Kagan introduced me to carving and woodworking. 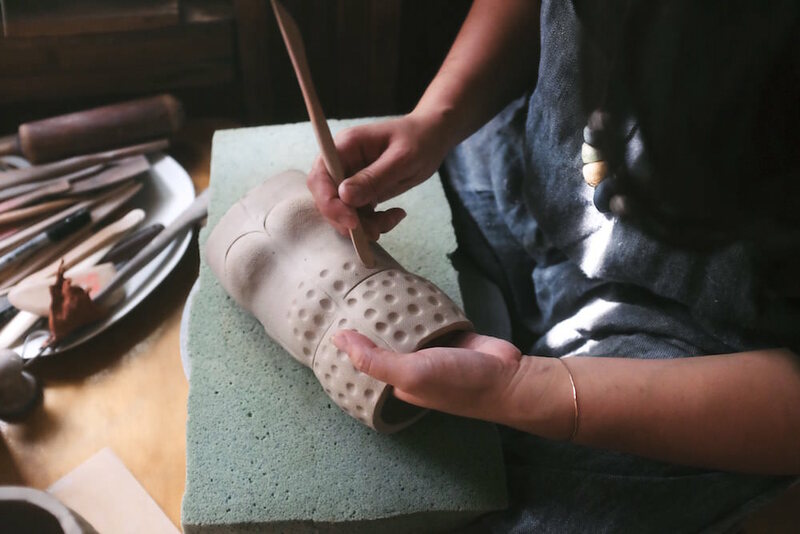 I was working as an freelance eyewear designer and making ceramics, carving spoons, and creating things on the side. I found that those side projects were where my heart was. 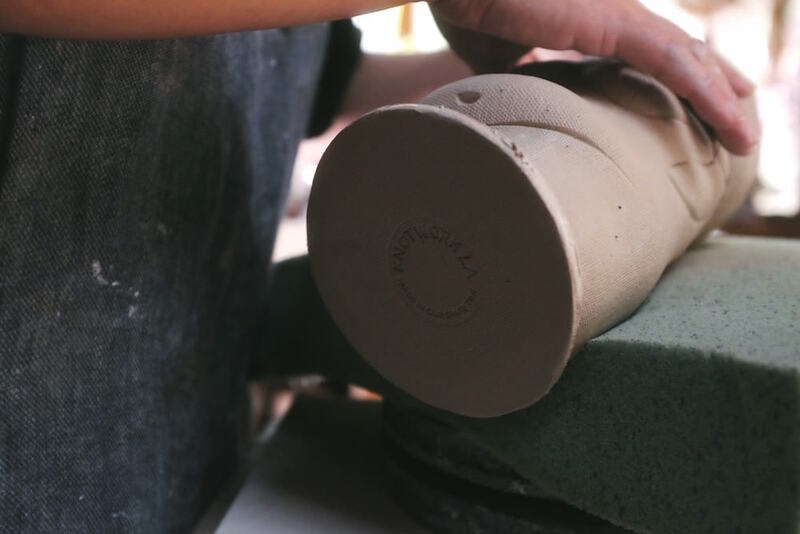 This last year I have been able to make the transition from and industrial designer to a full time ceramicist and I’m still pursuing other hobbies and interests and letting them inform my work. 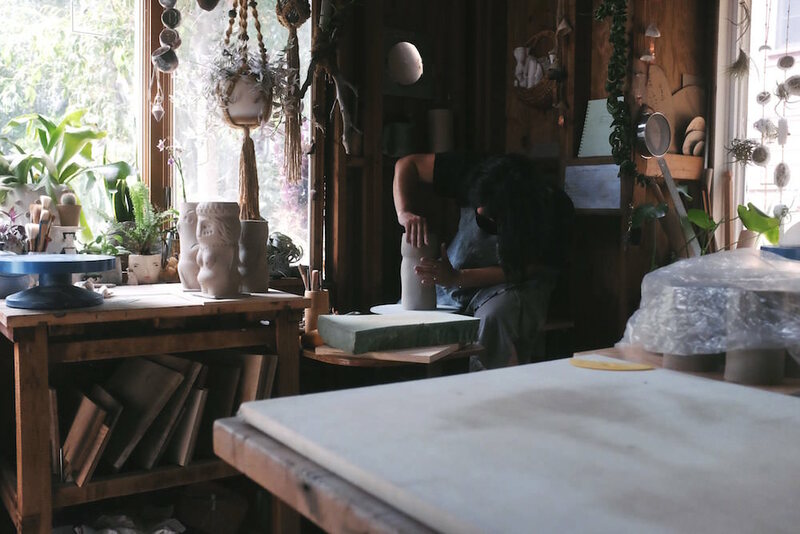 How important is it to you to have hobbies separate from work? In what ways would you say they inform your work? For me it’s important that I always do things I enjoy, both for work and fun. Gardening and growing my own food has always been a passion and very rewarding. Having my plants just a few steps from my studio has allowed me to enjoy both work and the garden. Although ceramics used to be something I could only fit in on the side, I’m very lucky to be able to do it full time now. I’m inspired by watching my garden grow and it helps me grow in my studio too. Occasionally though I’ll sneak off with Kagan to go on a hike, do some backpacking in the Sierras or jump in a river or a swimming hole. Those little escapes into nature help recharge and refresh my mind. It’s important for me to find time to get lost in nature and experience the world around me. Your baby rattles hold a special place in your heart. 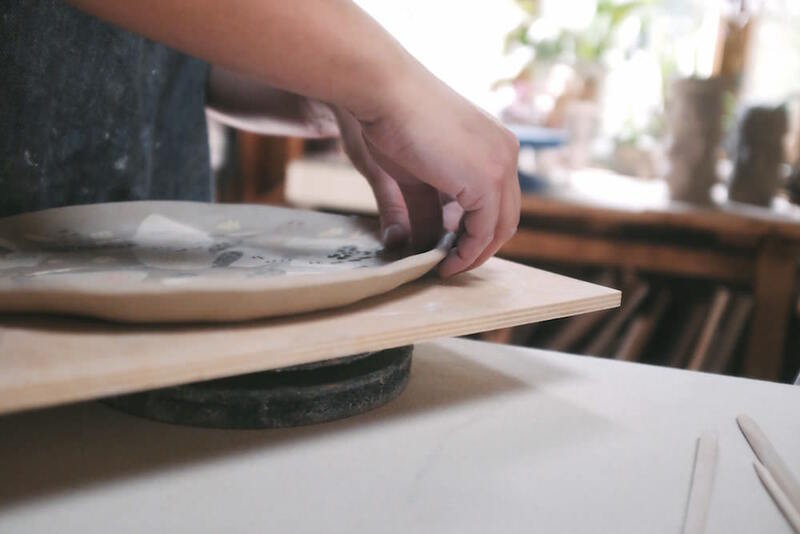 Why is making those more meaningful to you than other pieces? The rattles were the first collaborative project Kagan and I worked on. We made the first one for a good friend’s first child and couldn’t stop making them. They have been so well received and we have resisted the temptation to scale up or get them produced. We still make each one by hand in our evenings or weekends. It limits our production, but it means we have absolute control over every rattle from wood selection to final sanding. This is the first year we have really got them out there beyond our network and it is hard to keep up with the demand. Once someone holds one we know they are just waiting for a baby to give it to. This year we had a goal to sell enough rattles to pay for our wedding. That goal meant we couldn’t have everything we wanted - and that we spend a lot of time sanding rattles - but it will be nice to have the first product we designed together make our special day possible. How do you design and create a new piece? Is it all by hand? And do you have an idea of what will sell well before you create it? All of my work is handmade. 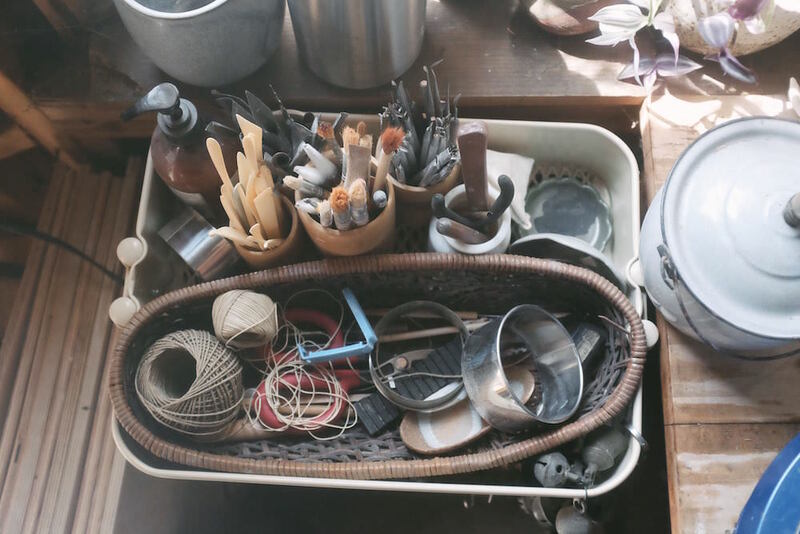 Most work starts out as a form of exploration both of material and process. My porcelain inlay began with a curiosity of how different clay would react pressed into each other. Reminding me quickly of the sedimentary rock cliffs in the beaches of my childhood in Laguna Beach. Fossils and different textures and color embedded into on rock kept me mesmerized. Creatures start as humble pinch pots - the magic happens when each one comes to life and develops a personality of its own. What’s your process for pricing a new item? I’ve been striving for each collection to have a range of prices in hopes to reach even my youngest collectors. I love to see the excitement of small children picking out their first creature, and to see that same excitement as older visitors buy larger works for their home. What inspired you to make tiki women? The tiki series started as a long fascination I have with the giant carved stone heads of Easter Island. It was natural to make him a first lady - I imagined her being the Venus of Willendorf, a fertility god statue from the stone age. This series led me to look up inspiration from many different ‘first man’ mythologies and urged me to create not only him but his lady - in my mind, she is equally important. How important is it to you that your work have deeper meaning like with your tiki women? I’m happiest when people find their own connection with the object I make. With the creature series and tiki series, my favorite part is seeing someone connect with one of my objects. 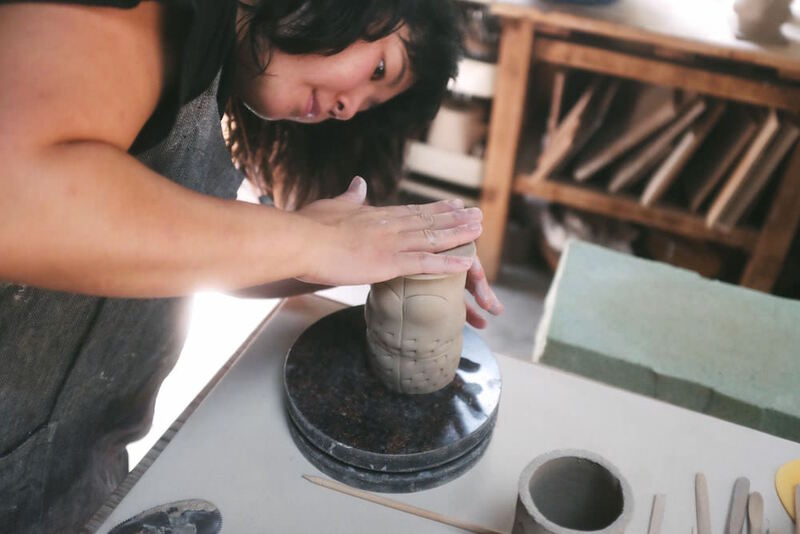 Having others find their own connection is part of the joy I get being a maker. A lot of your work seems to be inspired by childhood memories - was that a conscious choice, or a theme that’s just happened to come up over time? It was subconscious but I’m not surprised. Many of my best memories were watching my mom grow an entire farm out of just a bag of seeds, or even making an entire grove from just a few trees. Being able to create so much out of what seems to be just a bag of clay feels like the same magic. There’s something very special about creating things out of such simple materials - making things that give others joy or pleasure. I think all kids should grow up feeling free to explore and imagine. I’d hate to ever lose that feeling or same excitement in my own work. It’s evolved though, and it took me some time to come back to clay. I used to draw lines and vectors on the computer that became sunglasses, glasses, and other products. At the time there was a magic for these simple drawings to turn into actual products, but after a while I felt the need for my hands to be doing much more than drawing. Hence the memory of working with clay stuck in my mind and I was able to come back to it after some time. Who’s an artist that inspires you? Isamu Noguchi is one I always felt inspired by even before I realized who he was. There’s a garden in Costa Mesa, near where I used to live, with his large scale sculptures of natural rocks bouldering together, a stream flowing through it and the desert landscape with striking silhouettes. Seeing more of his work, his sculptures feel both natural, but also sculpted with beautiful curves and balance. Some of his forms are also full of whimsy and feel alive. 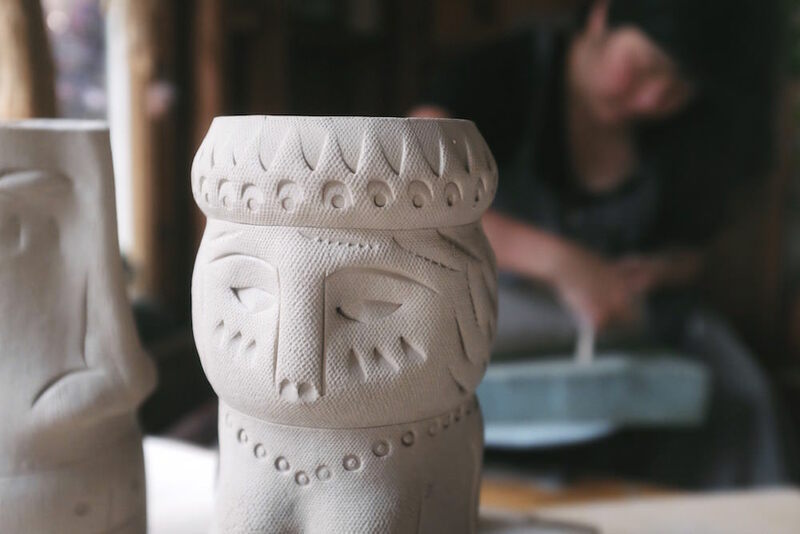 You can get your own tiki woman from the Knotwork LA shop, and follow Linda on Instagram to see what she’s working on next.